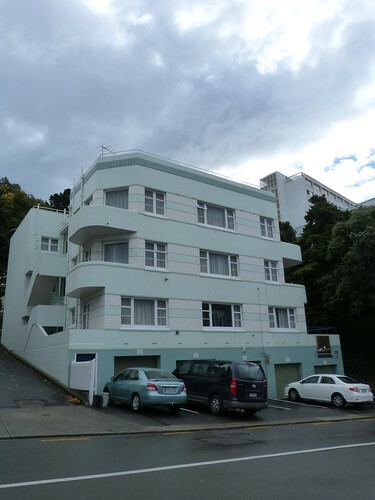 The architectural design is lovely (of course... it is Deco :) but the pastel colours are not very common in the buildings you select in Australia and New Zealand. The pastels almost look fresh, maritime and Miami-ish. 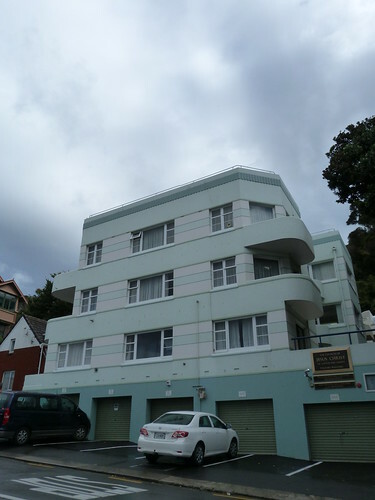 I think we (in Australia & NZ) stick to cream colours a lot more or raw brick, of course. You are certainly right about the Miami feel. They have adopted the pastel colours and really made the most of them. I always think pastel is best. It definitely works well in sunny climates, Jack.